With easier access to a variety of forms of encrypted messaging, why aren’t there more options for making encrypted voice and video calls? Well, first off, let’s start by saying there’s a lot more choice than there was, say ten years ago. WhatsApp, Skype, Google Hangouts and FaceTime all provide encrypted, secure voice and/or video calls – provided both parties are using the same system. What isn’t widely available is the simple and reliable ability to ensure your conversation is secure from prying ears, if you’re calling someone on their land line, from your cell phone. The reason that it’s easier for companies to keep encrypted call services in house is because making video and internet calls is a pretty big challenge in itself. Once they’ve found a system that works, the process of making changes to work with other providers – that could limit both the call and secure ability – could mean a surge in development time and costs. It would also mean they’re sharing the positive results of all their investment with other companies, for free! That might not seem like a particularly difficulty to the end user. But, believe us when we say research & development investment levels can be very high for tech companies, so they aren’t often inclined to share the fruits of their hard work and high spend. Despite the difficulties around creating, providing and supporting encrypted phone and video calls, the number of providers is growing. Just recently, messaging service the TelegramApp, has begun to offer secure calls across Australia. You can also purchase devices that are designed to make your calls secure – but they’re rarely cheap. Cryptophones are another option – but again, you can only use one to call another Cryptophone. This shows that more tech businesses understand the importance of not getting left behind and providing the services that people want to use. But right now, most of those businesses seem content with offering those secure calls in a closed environment. Of course, in an ideal world we wouldn’t need encryption services, because no-one would want or be able to listen in. But, they do and can and that includes Governments around the world, as well as cyber criminals and businesses trying to sell anything and everything to us. Sure, most of us aren’t doing anything we shouldn’t in our day-to-day life. But, that doesn’t mean weshould forgo our privacy and let anyone who can or claims they have the authority, to actually do it. By having easy access to encrypted and secure messaging and phone and video calls, we’re protecting our own right to privacy. Luckily, this is something tech companies understand, which is why more easily accessible encrypted calls across multiple providers and app is likely to be a possibility, at some point in the future. In this age of big data, your data has become more important than you could have ever imagined. Yes, important data, such as banking details and perhaps your earnings, have always been important – to you if to no-one else! But, any data that you generate – and believe us when we tell you it’s a lot – is important, to someone, somewhere. Don’t believe us? Think back to every time you sign up for ‘free’ use of a website or app. While you may not have had to hand over any cold, hard cash, you did have to give your email address, or access to your google+ or Facebook account. The reason these websites and companies are so happy to offer you access to their sites in return for some information, or access to it, is because data is important. And, as such, it’s become a kind of currency for every kind of business. Your preferred social media platform. What apps you use to communicate with friends and family. What newspapers or news sites you regularly use. How often and for how long you’re online on mobile and a computer. Where and how often you like to go on vacation. It’s Used For Targeted Ads. Among many other details, that can be useful to specific businesses, for specific reasons. You see, by understanding key details about their target audience - or an audience they’d like to be able to target - companies are willing to provide free blogs, advice and games in return for it. When a company gets a marketing campaign right, based on the information they’ve mined from ‘free’ online subscriptions, the return on that investment can be pretty stellar. Of course, it’s not just your data that’s valuable – it’s the collection of data from many, many online users who’ve all handed over access to a chunk of their online life. Companies will store all of that data, analyse it and use it to come up with a way to encourage potential customers to spend your money with them – again and again and again. However easy it’s been for different businesses to get hold of some or a lot of your information, it’s also pretty easy for you to stopthem from accessing even more of it. For Facebook users – and we know there are millions of you – just go to your settings tab and click on apps. Here you will see how many apps you’ve signed up to and have some form of access to your data. Luckily, it’s a simple process to remove them and stop your future data being seen or used by them. Viewing the permissions you’ve given google can be done from here and again, it’s pretty straight forward to see and disable the access you’ve already given, often unwittingly. For other apps and social media platforms, head to the settings section in ‘my account’ and you should find similar, helpful interfaces, where you can re-take control. Of course, in many cases, sharing your data is beneficial, but it’s better for you if you know what they are, why they’re sharing your data and if you’re happy with that to continue. After all, now that you know how valuable your data really is, you want to make sure you’re getting more than ‘free’ access to a few blogs or special offers, now and again, in return for access to it! You’re having a bad day already, but things just got a whole lot worse; you’ve dropped your phone in water and you don’t know what you should do. The first thing to do is take a deep breath and don’t panic. Then, take your phone out the water as quickly and carefully as you can. At this point you’re probably recalling stories you’ve heard about uncooked rice, kitty litter and other mobile rescue folklore. Try and get those out of your head, because they won’t work and could cause even more damage to your already injured phone. Also, don’t fiddle with your phone, press any buttons or try to power it up. The main cause of permanent damage to phones that have been exposed to the wet stuff is the immediate behavior of their owners. So, in order to stop you from causing permanent damage to your sodden phone, we’re going to tell you why some well-known remedies don’t work and detail exactly what you should do. Move Quickly but Steadily and Avoid the Rice! The reason for this is that if you do press buttons, you run the risk of pushing more water into the fabric of your phone. You don’t want to put even more liquid anywhere near the battery or electrical components that make your phone work. Also, if by some chance the phone is still on, you will cause the use of electricity and short circuit the phone. While, technically, this falls under the above point, we just want to make it 100% clear that this is a bad thing to do. If you try and power up your phone when it’s wet, you’re absolutely, most definitely, going to end the life of your phone there and then. Why? Because when you switch your phone on, electrical connections are made to run currents through the phone that make it work. Water and electricity don’t play well together and if you try to switch your phone on when its wet, you’re going to short out the electrical components within, thus, permanently breaking your phone. It will also limit the chance of professional data recovery experts from getting back your data. Shaking the phone is another way that could encourage the water that’s already in or on your phone, to move further into the parts of the phone where the components are. This is something you really need to try and avoid. Again, as well as having the potential to blow the water further into your phone, the heat from the dryer could cause additional damage. We really do understand why this myth has been around for so long. Logic suggests that placing wet things into materials that naturally absorb water should work to take the water from the wet item to the dry absorbent stuff. However, rice and cat litter both have other little particles in them that could sneak into your phone and cause more damage. And, even if you have a friend, relative or colleague who swears this method worked for them, chances are it simply stopped them from handling the phone for a few days. In our (and other’s) expert opinion, placing your phone in rice or cat litter will at the best stop you from touching the phone and allow it to dry. At worst, it will introduce more foreign bodies into your phone and make the existing damage even worse. That’s right, even though some guides recommend a small hand-held vacuum could remove some of the water from your phone, it’s not a method we recommend. Why? Because you might drop it, or damage it in the process and because the type of vacuum you likely have, simply isn’t designed for this job. We know, it’s only a bit of water, how hard can it be to dry it out and fix it? Dependent on how much of the phone’s motherboard and other electrical components have become wet after it’s dunking, it can be harder than you might think! Think water is a pretty pure substance that shouldn’t really do too much damage to your phone – provided it’s been removed from the water and left to dry in a cool place, for a day or two? Think again. Even safe-to-drink water contains minerals and chemicals that can hurt your phone. First of all are the naturally occurring minerals that include: calcium, sodium and magnesium. Everyone gets used to the levels of each of these minerals dependent on where they live – they vary from country-to-country and even region to region. In addition to the naturally occurring minerals contained in the water that comes from your tap, are some small residue of the chemicals used to make it safe to drink. Chlorine and Chloramines are the main disinfectant chemicals used to treat water at local water treatment plants. Again, this is safe for you to drink and nothing to worry about – unless you’ve got a phone that’s taken a swim in it.All those minerals and chemicals will leave a residue on your phone, either on the case or screen, or worse, within the phone and on the electrical components. And, that means that even when your phone dries out, these residues will remain and cause problems with your phone. In fact, even if your phone appears to work perfectly well after its dried out, those mineral and chemical residues will still be there and could be the reason your phone stops working properly a few days later. And just think, dropping your phone in water is a best-case scenario. Alcohol or soft drinks all contain sugar which is VERY bad for your phone and will further complicate the resolution of the accident. All of these details – and more- are the reason why you should always make the decision to hand your phone’s care over to the experts. 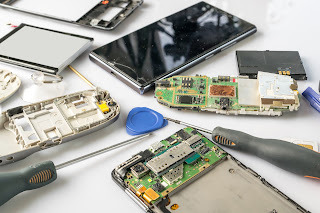 We have the tools, experience and knowledge to fix your phone, or at the very least retrieve the data from it, so you don’t lose any of that valuable data you’ve so carefully saved. Ok, we’ve explained that the best solution to a wet phone is to call in the experts. But, we know that some of you prefer to do things yourself, even when you know it’s not the best option you have. For those of you who insist on DIY wet phone recovery, we want to make sure you’re equipped with the right knowledge that will give you the best chance of success. Remove the phone immediately, but slowly and carefully, from its watery grave. Take it to a cool, dry room, slowly and without shaking it or moving it around too much. If you can, carefully remove the back of the phone, the battery, sim and media card. Lay out some paper towels, kitchen towel or an actual towel on a flat, out of the way surface. Pick up each piece of your dismantled phone and gently dry it with an absorbent paper towel or actual towel. Once you’ve gently dry the surface of each item, put it down on the towel you laid onto the flat surface. Leave the phone there, undisturbed and untouched for at least 48 hours, to dry out. If all parts of the phone don’t look or feel dry after two-days, wait another day or so. 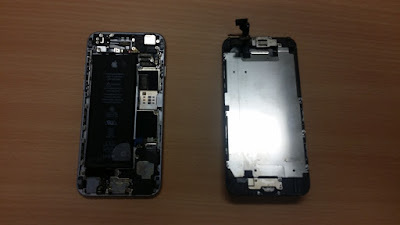 Once the phone does feel and look dry, you can carefully put it back together. Provided no water is seen or felt on the re-assembled phone, press the power key to switch it on. If it switches on, put it through its paces; make a phone call, send a text, open your apps and surf the web. If it doesn’t switch on, connect it to your charger. If this works and the phone comes to life, check everything is in working order, as described above. If the phone still doesn’t work, take it to a specialist. But, because you’ve tried to switch it on, it’s highly likely you’ve done additional damage that will make the repair and/or data retrieval job, even harder. As you can, see, even when you take the steps advised by an expert, your phone might still be beyond help. In addition, your interference might also make data retrieval all but impossible, which would be a double blow. We know that when it comes to your phone it holds a ton of information, history and contact details that you really value. We also know that sometimes you might expect a mobile repair and data recoveryexpert’s services might be on the expensive side. But, if the data on your phone is valuable, then it’s got to be worth spending a little money on to preserve that data and avoid having to buy a new phone? By taking the decision to use a professional repair service to save your wet phone, you will have peace of mind that people who know exactly what they’re doing are working on your phone. Another benefit is that iPhone’s can also be saved by experts. That’s because we have the right tools and agreements in place to get into your phone and take the correct steps to dry it out and fix it. That means that if you’re ever unlucky enough to drop your phone in water or any other liquid, you need to stay calm, retrieve it from the water, put it down and give us a call. We know exactly what to and how to do it. What Does a Water Damaged Phone Look Like? Many of you probably have never seen the inside of a phone after it’s been dropped in water, so aren’t aware of how bad it can get. 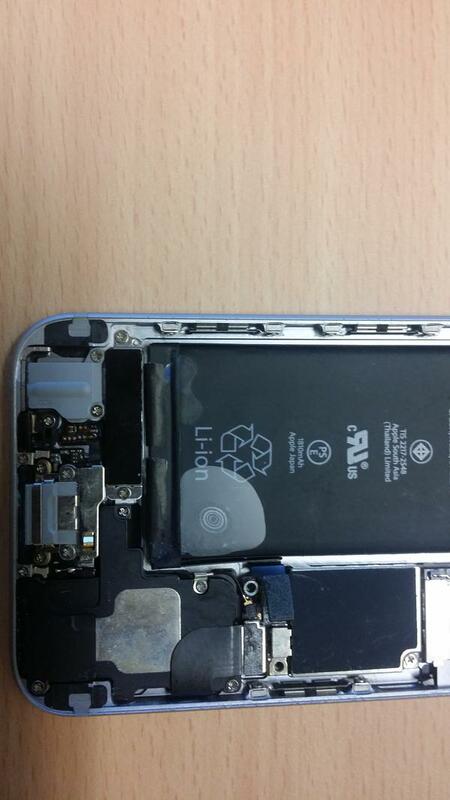 Take a look at what actually happens to a phone when it’s been dropped in water and has been switched on when wet. Image of customer’s water damaged phone, once its dry. Water bubbles on battery pack. Close up of water damage and corrosion on and around battery pack. Close up of water damage and residue on top half of battery. 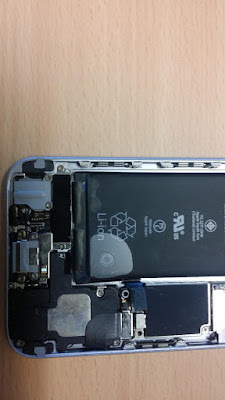 Water damage and residue left on phone circuit board. This phone was brought to us after being dropped in water. The customer also tried to switch the phone on when it was wet then put it in rice which also left starch residues. 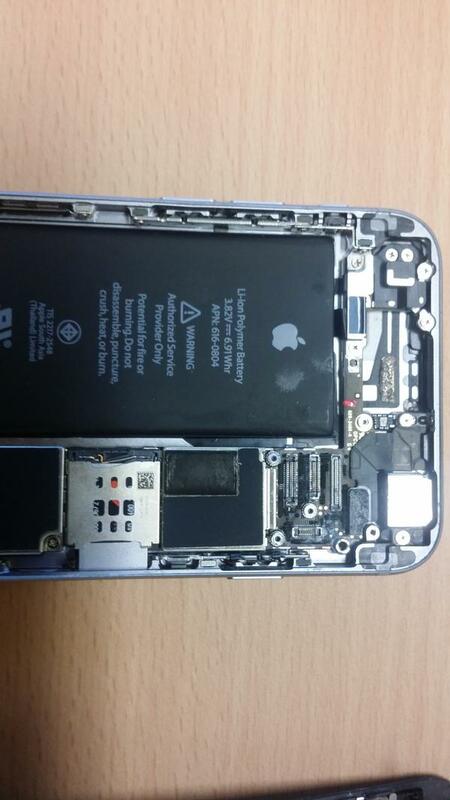 As you see from the above images, there is corrosion on a number of different points on the inside of the phone. 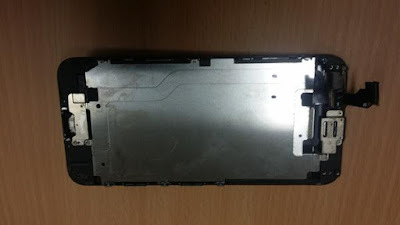 The bubble in the battery was also possibly caused by the sudden increase in heat when the owner tried to switch it on, causing a short and further damage. That’s on top of the problems dropping a phone in water naturally causes. We haven’t included these images to scare you into using our service. We just want to give you a better understanding of exactly what happens to a phone that’s been dropped in water then switched on when wet. It’s not a pretty sight, to the owner or to us. 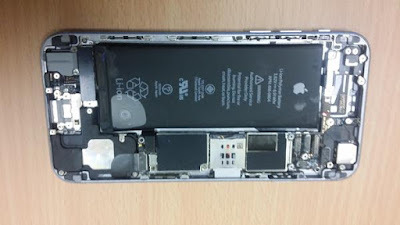 But, if the phone had been left alone and handed straight over to us, there would have been less damage and more chance of a full and quick repair. We’re here to help you. Our expert mobile repair and data retrieval experience means we’re your best chance of owning a phone that’s in full working order, even after it’s been for an unplanned swim! If you haven’t already heard of Ransomware, you’re in the minority, particularly considering how much the practise increased during 2016. 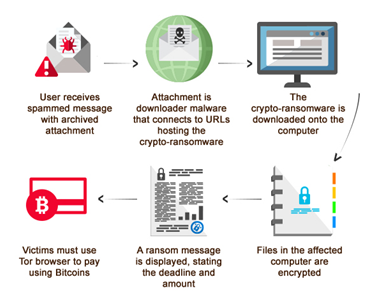 Briefly, Ransomware is a type of malware virus that locks down your computer files and demands a ransom, usually in the digital currency, Bitcoin, to unlock them. According to IBM, 46% of executives it surveyed have been affected by Ransomware, with 70% of those paying the ransom to get control of their computer back. And, while Ransomware might be more common among businesses, it occurs on a personal level too. 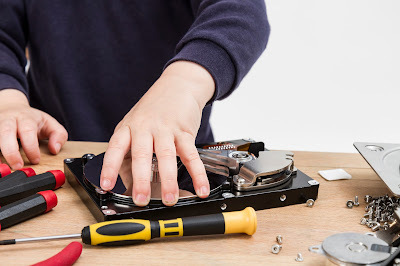 First and foremost, the best thing to do is to regularly back up your PC to an external hard drive that is physically separate from your computer. That way, if you’re unfortunate enough to be targeted by Ransomware racketeers, you can wipe the hard drive then replace it with your saved one. The practise of backing up an office full of PCs might sound like a potentially expensive business, but the cost of external data storage has come down a lot in recent years. And, even if it hadn’t, the cost of data storage would still far outweigh any ransom you might have to pay following a ransomware attack. a) The criminals might not release your PC even if you do pay. b) This makes you a future target who can be relied upon to pay up when threatened. c) Any program you download could do additional damage to your PC, even if in the unlikely event it actually works. The best thing to do, as with most things when it comes to fixing a technical or digital problem with your PC, is to contact the experts. The reason is pretty simple, it’s our business to know about all things digital in order to do our job properly. And for us at Brisbane Data Recovery, that’s something we take very seriously. While the length of time your PC is locked by Ransomware doesn’t really matter when it comes to removing the virus, it’s likely important to you. That means you should give us a call as soon as you can. Expert computer technicians can then find out exactly what’s happened and will know the best solution. Of course, it’s likely to involve a trip to your local PC workshop. But if that means you can get your laptop back without paying off cyber criminals, then that’s got to be a better option than potentially damaging your PC with software you’re unsure of. If you’d prefer to avoid a trip to your local data recovery technician, its worth looking into external hard drives and data storage. Indeed, with Ransomware attacks expected to increase in 2017, it’s something that you shouldn’t have to think twice about arranging. If you need advice on this, our digital experts can help you. As well as putting your mind at ease that you’re doing all you can to protect your PC, you’re also getting to know and trust an expert. An expert who will be able to help you further if something goes wrong with your PC in the future. Are you looking for Best Computer Repairs in Brisbane? Super IT Solutions is the best On-site IT support provider. Should You Use Free Data Recovery Tools to Find Deleted Texts? There comes for many, when an important text message is somehow deleted from your phone. It could be through human error, a digital malfunction or an unknown glitch. Whatever the reason, you need to get that deleted text message or string back, as quickly as possible! There are a number of ways to attempt this, and not all of them are reliable. Going through the settings might seem like the logical thing to do, but unfortunately, it just won’t give you the result you’re looking for. And, if you’re determined to retrieve the message you’ll have to use a different route. When you hit the delete button, you’d be right in thinking the data you’ve specified you no longer want remains on your phone. What you’re actually when you delete a text, is saying "this data is no longer important to you" and the file space can be used elsewhere. That means you need to act fast if you want to recover your deleted text before the file space is overwritten by an app update or new file. While free recovery apps do exist and can work, if you really do need to recover deleted text messages, the safer and more reliable option is to call in the professionals. At Brisbane Data Recovery, we’re equipped to find the data you want but can’t see. We do it safely, with your rights and privacy guaranteed. Our experience and knowledge also means there’s less chance of any damage to your phone during the deleted text recovery process. Contact the best hard drive data recovery company near you. When it comes to retrieving deleted data from your laptop or PC, we know that sometimes, through no fault of your own, you’re looking at paying out, to get that data back. Some of you may feel confident enough of your technical skills to attempt using online software to recover that lost information yourself for a lower cost. And, in some, lucky cases this might work. But, the times where no damage at all was made to your laptop or PC was made in these instances, are few and far between. If you’re reading this post, you might be considering doing the very thing we’re warning you against. If you are, or even if you’re just feeling intrigued and want to log this information for the future, read on. How Was the Data Lost? Physical damage to the drive. An update has wiped that data or file section, unexpectedly. In all of these situations, an expert has a much greater chance of finding what you need, without damaging your computer. Using do-it-your self software, however, doesn’t. And Here’s why. If you’ve deleted the data or files, they will remain on your laptop or PC for a while – until they’re over-written by app updates or a new program - LIKE THE ONE YOU’VE JUST DOWNLOADED. Right there is the first and arguably, biggest risk of doing this yourself. If an update has moved or seems to have wiped the data you need, you’re in a similar situation to the one above. So, while the data is probably still on there, the change likely renders it as unwanted, which leaves it open to being over-written. If the machine has been dropped, cracked or damaged in some way, then the software you’ve just bought and downloaded, simply won’t be equipped for the job. That’s because they are designed to navigate through machines that are in correct working order. If you use them on a damaged machine, they can’t work in the way they should which means, unless you’re incredibly lucky, they won’t work and can potentially damage other files in the process. If the data or files you’ve lost are worth something to you in monetary terms, it suggests you really need them found. If that’s the case, why are you even considering a do-it-yourself option that has a real possibility of failing and causing more damage? If, however, the files aren’t all that valuable but you still want them, we’re afraid the same applies – is it worth the risk of saving a little money to get back something that’s personally important? Of course, because we are data recovery experts, we know how to get our files back, so we are confident when we tell you our service is great value for money. Our experience and expertise means we know where to look for your data, in a way that doesn’t damage your laptop or PC. If you have to put a price on the data you’ve lost, we think our fixed price fees might surprise you and make the choice to use our services pretty simple! How to recover external hard disk data when undetected? External hard disks are a very popular portable device which are capable of transferring large amounts of data from one device to another. For keeping backups of the internal hard disk of a computer, a external hard disk is a very useful tool. But sometimes people face different kind of problems with external hard disks. One of the most common problems is undetected hard disk or unrecognizable device. There are some easy ways to recover data from that particular external hard disk which is undetected. Brisbane Data Recovery. Awesome Inc. theme. Theme images by Storman. Powered by Blogger.